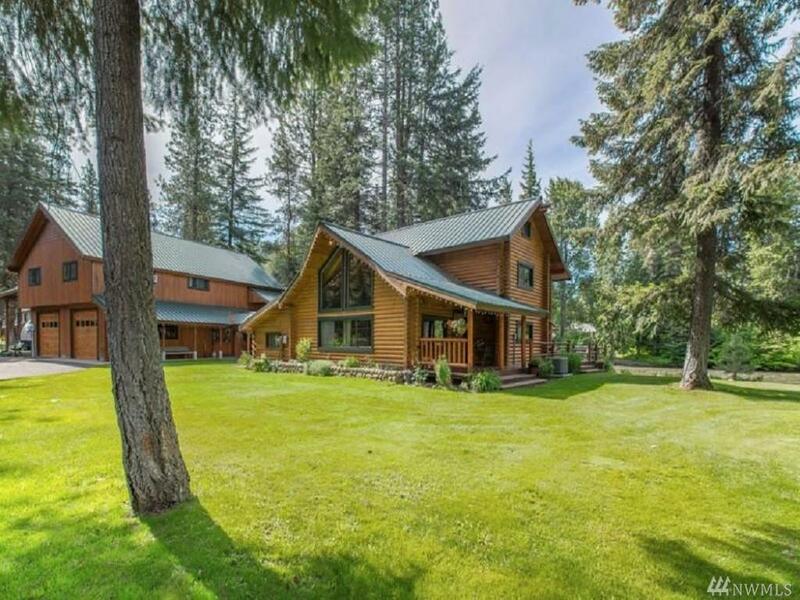 On the banks of the Chiwawa River sets this magnificent country estate. 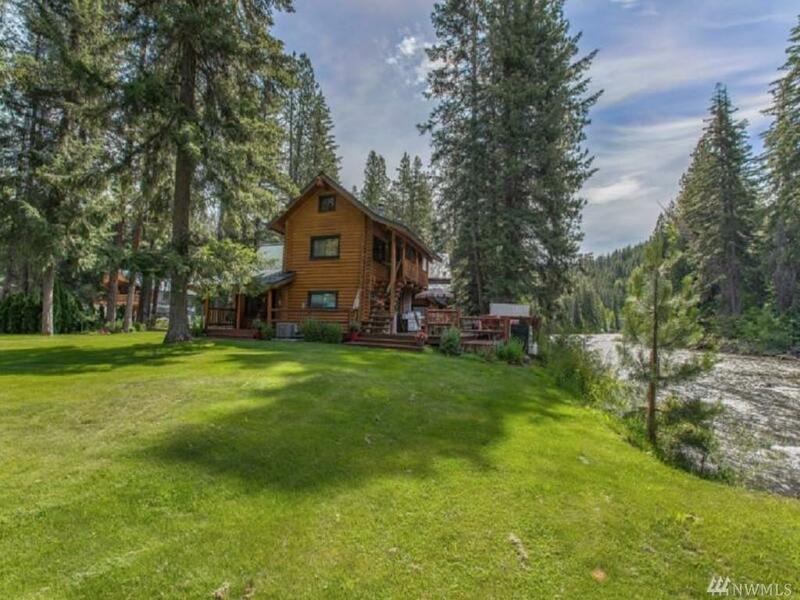 Currently a highly successful nightly rental, this property is secluded and inspiring. 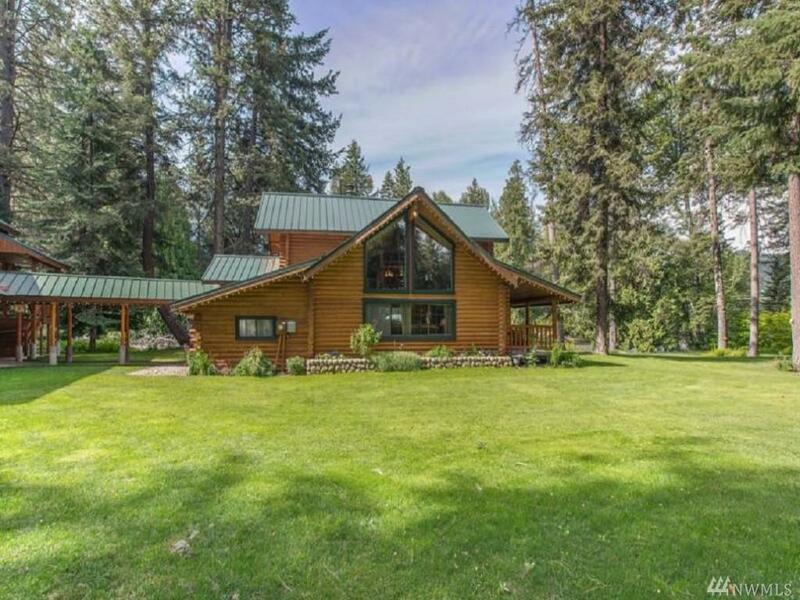 The 2 bedrooms plus loft in the main Log home are country elegant and comfortable. The attached 4 car garage also has drains and hoses to rinse off vehicles inside. Above the attached garage is a complete 2 bedroom apartment. 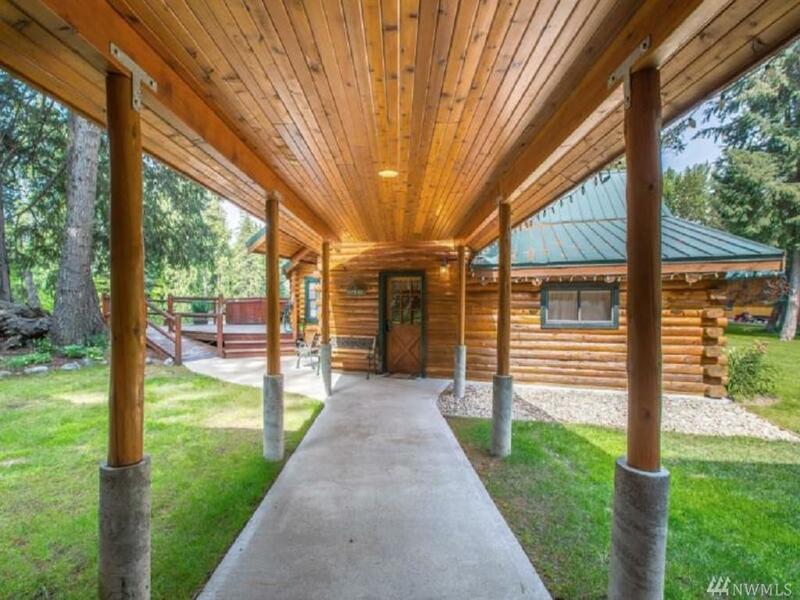 An enormous 2100 Sq Ft. Shop/RV parking has radiant heating in the floors and convenient drains. A must see!